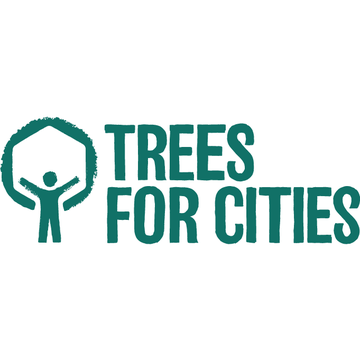 Trees for Cities is the only UK charity working at a national and international scale to improve lives by planting trees in cities around the world. 2018 marked the charity’s 25th anniversary which they are celebrating with their #GenerationTree campaign. The Lost Words, the award-winning book by Robert Macfarlane and Jackie Morris, is an impassioned response to the removal of everyday nature words - among them "acorn", "bluebell", "kingfisher" and "wren" - from a widely used children’s dictionary, because those words were not being used enough by children to merit inclusion. What began as a book has since got children, teachers and parents excited about exploring the natural world again, with classes and entire schools venturing out into woods, parks and gardens to discover more about their surroundings. Please click below to read about our campaign launch at Beam County Primary School, Barking & Dagenham. 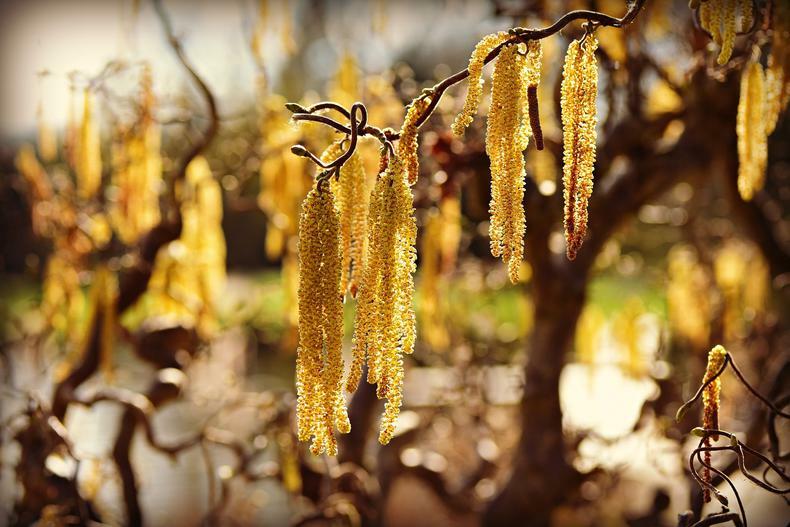 The hazel has been an integral part of human life from ancient times, providing sustenance through its delicious nuts and wood for everyday needs. Its death-defying ability to grow after being cut right back became a fundamental part of how woods in this country provided the basic housing and living materials for ordinary people as well as organised industry. Using the process of coppicing, people living and working in the woods created a forest environment that sustained both humans and nature. Click below to read more about the many ways in which humans and wildlife alike benefit from this small tree. We get stuck in with local communities to cultivate lasting change in their neighbourhoods – whether it’s revitalising forgotten spaces, creating healthier environments or getting people excited about growing, foraging and eating healthy food. 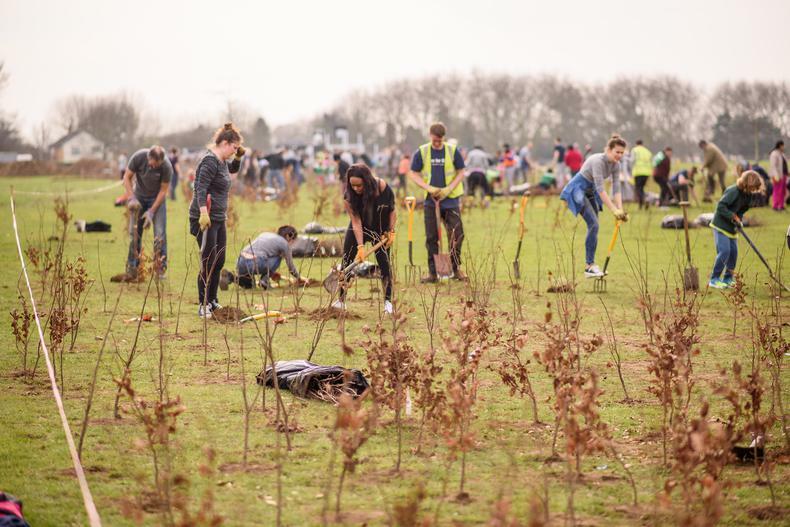 To date, our dedicated volunteers have planted over 800,000 trees in cities up and down the UK, and around the globe. Trees have a huge impact on our mental and physical health, and that of our environment. They clean our air, make us happier, get us outside, dull noise pollution, and so much more. Urban trees: We plant over 70,000 urban trees each year. Trees bring real benefit to our cities, our health and our wellbeing. Trees are vital to our ecosystem and prevent premature deaths caused by airborne pollutants. Studies show that access to green spaces plays an important role in fostering social interaction which not only make us closer to our neighbours, but increases a sense of security in urban areas. Trees also make us happier. A growing body of research is showing that spending time around trees and nature reduces depression and anxiety, especially when combined with exercise. Edible Playgrounds: Through our Edible Playground programme, we transform school grounds into vibrant outdoor teaching gardens that inspire hands-on learning and get children excited about growing and eating healthy food. 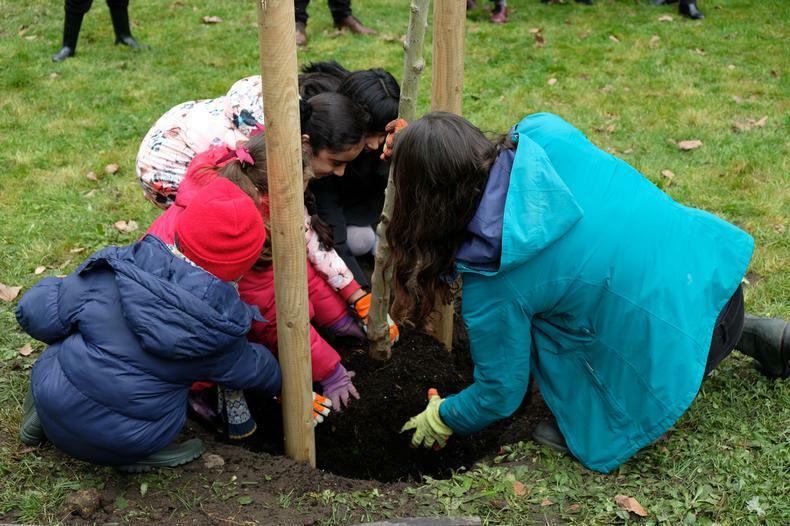 They help improve health and wellbeing, open up access to nature, and provide a fun outdoor learning environment that supports cross-curriculum teaching. Corporate services: We deliver creative solutions to help businesses reach their corporate social responsibility objectives and can tailor our packages to suit individual business needs. 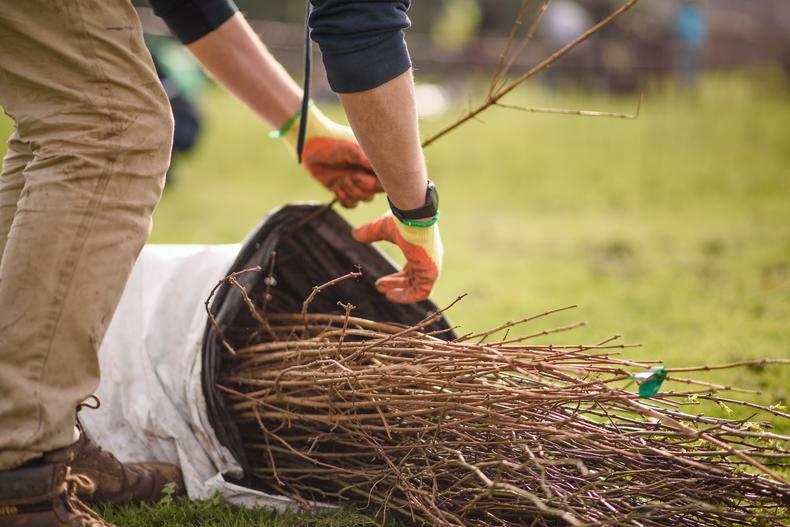 Whether businesses aim to enhance their sustainability strategy, engage consumers and employees through their values or create a lasting green legacy, our dedicated corporate partnerships team work with businesses to deliver bespoke, rewarding and impactful solutions. International: Trees don’t just grow in the UK, and we have a global reach to reflect this. 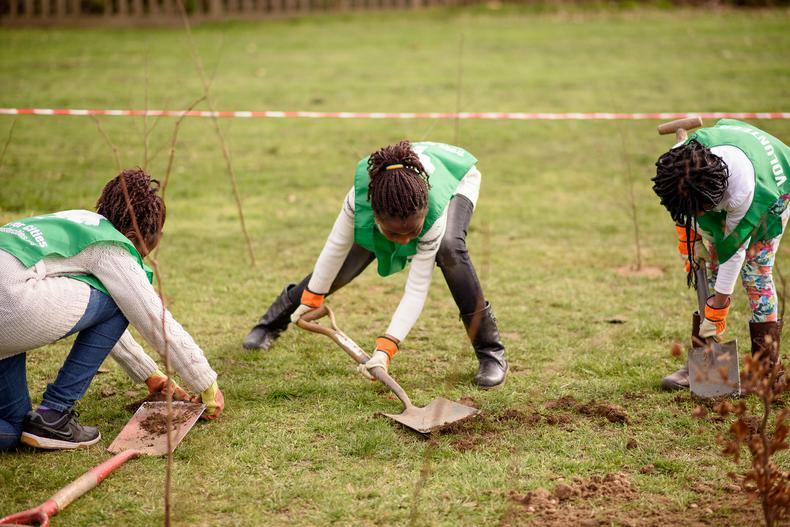 In 2006, the Mayor of Addis Ababa in Ethiopia was inspired by our tree-planting efforts in London, and invited us to establish a Community Fruit Tree Planting project in his city. Since then we’ve planted over 200,000 trees in 16 cities in 13 countries – from Ica in Peru to Nairobi in Kenya and Pokhara in Nepal.